Displaying 1 - 14 of 14 item(s) found. 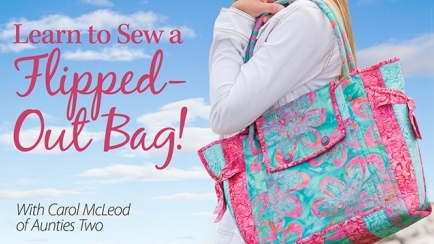 Learn to Sew a Flipped-Out Bag! 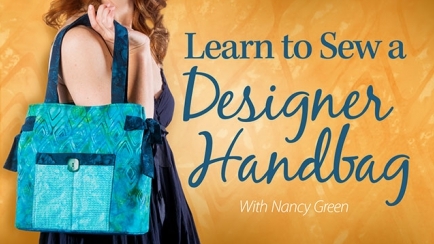 Learn a twist on the traditional stitch-and-flip technique while sewing a fabulous bag. You'll finish the inside of the bag at the same time as the outside! 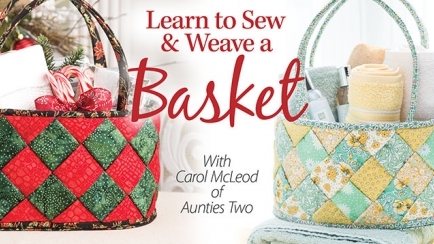 Learn how to sew and weave a beautiful basket for holiday decorating, gift-giving and anywhere around the house! 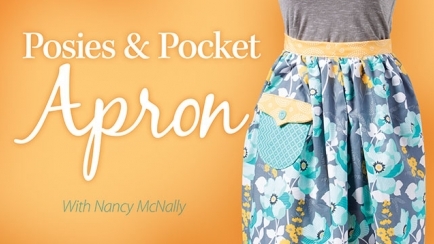 Take the first steps in becoming an accomplished sewer with this creative sewing workshop in which you'll make a pretty apron! Learn how to sew a pretty, insulated baking dish carrier step-by-step using your home sewing machine! 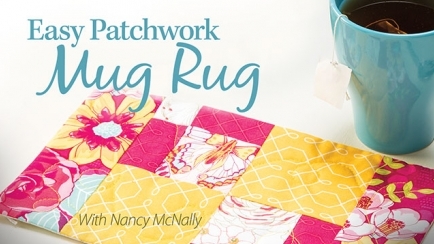 A perfect beginner piecing project for quilters or sewers, this Easy Patchwork Mug Rug is bigger than a coaster but smaller than a place mat! 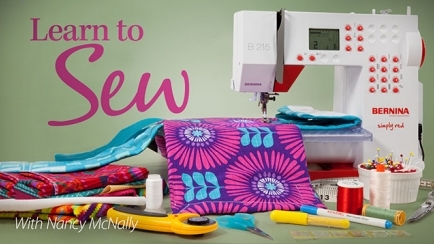 Whether you're brand-new to machine sewing or want to brush up on your skills, you'll gain essential knowledge and confidence to sew with this all-new video class! Moving from a sewing machine to a serger? Make the transition seamless with the best guide in the business—Deborah Cacciamani! 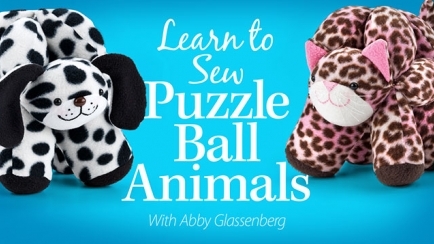 Learn how to sew soft and huggable puppy and kitty puzzle ball animals for hours of interactive play! 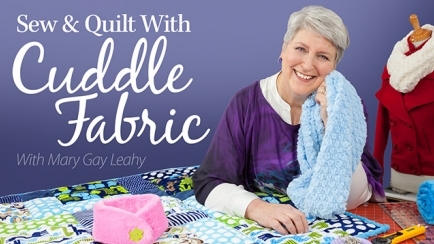 Sewing and quilting with the incredible minky Cuddle fabric is easy once you learn a few simple techniques. Learn how while making four exclusive projects. 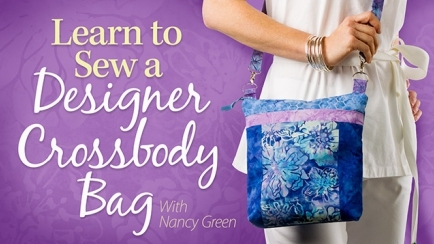 Discover how to sew a gorgeous, crossbody bag using your own sewing machine! This beautiful bag rivals those you'll find in upscale boutiques. Learn to sew a gorgeous designer handbag that rivals those you see in upscale boutiques while learning many valuable sewing techniques! 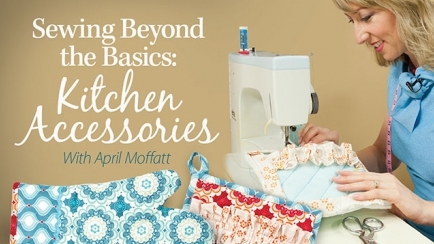 Take your beginner sewing skills to the intermediate level while learning many sewing techniques useful for kitchen accessories and other projects. Learn the creative, fun and easy technique of turning dyed wool roving in gorgeous felted flowers perfect for embellishing clothing and accessories! Get two classes in one--Fundamentals of Machine Embroidery plus Machine Embroidery Techniques I. 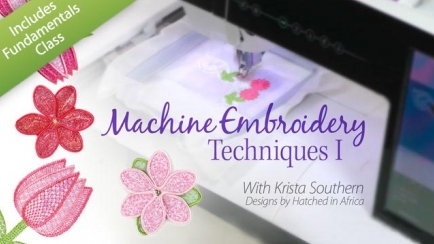 Learn about materials to use, seven amazing machine embroidery techniques and get 19 digitized designs! Sewing opens up a whole new world of creative expression and useful patterns! Beginner-level sewing skills and stitches. How to sew handbags, cross-body bags and tote bags. How to sew kitchen accessories you'll use again and again. How to sew with minkee fabric. Each class includes exclusive patterns for practicing and learning the skills taught in class. 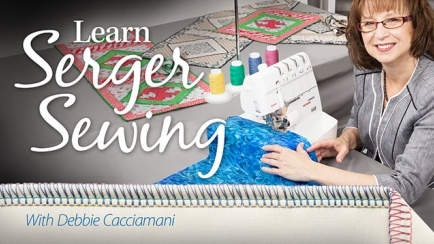 Annie's video classes give you the opportunity to learn from top sewing experts at your own pace and in your own time. Give one a try today!